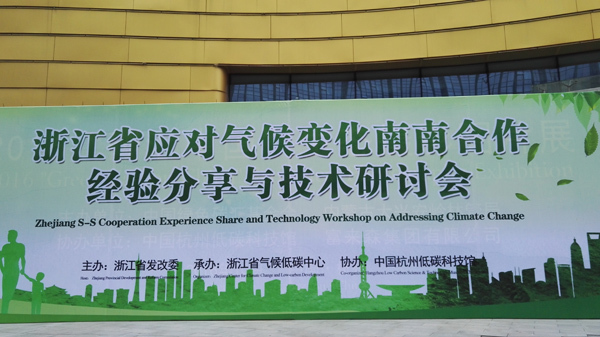 On October 24, ZAAS vice-president Yang Hua attended the Zhejiang S-S Cooperation Experience Share and Technology Workshop on Addressing Climate Change held by Zhejiang Provincial Development and Reform Commission. 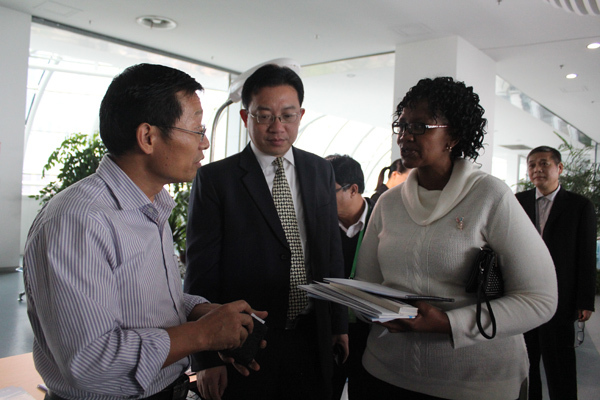 The workshop gathered together over 40 guests from 27 developing countries, as well as scientists and engineers, entrepreneurs and the administration from the province. 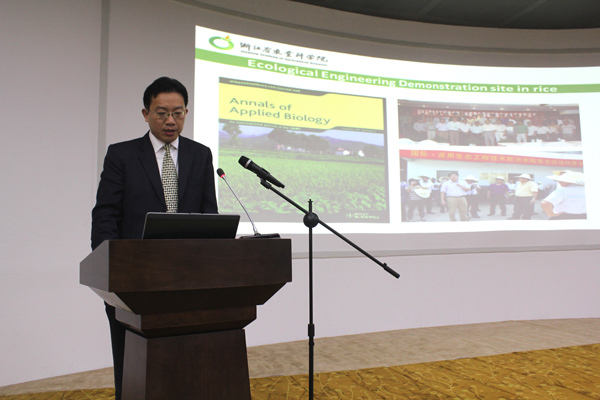 In the workshop, Yang Hua delivered a speech titled Joint Efforts to Address Climate Change and Strengthened S-S Cooperation --- Low Carbon Practice and Exploration at ZAAS. In his speech, Yang Hua introduced the recent technical exchange, personnel training and foreign aid projects carried out by ZAAS experts in over 10 countries as Morocco, Central Africa and Chad. He also recommended a series of practical research achievements such as agricultural wastes management which are applicable when dealing with climate change. Scientists at ZAAS with expertise in biochar, sericulture, and water treatment present at the workshop also conducted communication with overseas representatives, seeking cooperation possibilities in areas of common interest.